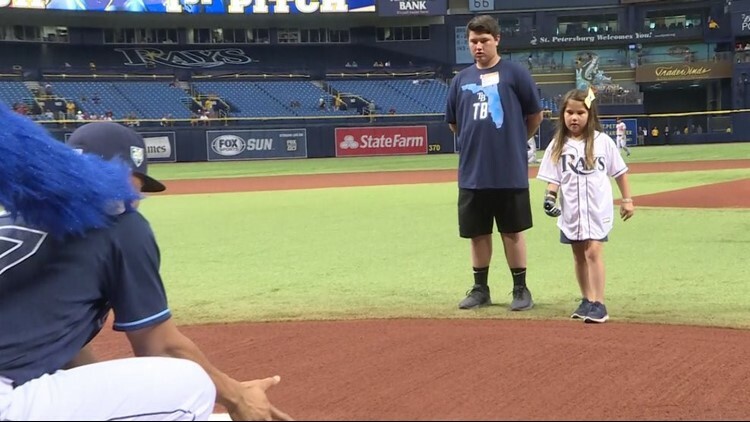 The ceremonial pitch for the Rays and Orioles was thrown by Hailey Dawson from Las Vegas, who just so happens to have a 3-D printed prosthetic hand. ST. PETERSBURG, Fla.— For one 8-year-old girl, Tropicana Filed became part of her field of dreams Thursday night. Hailey says it’s her goal to throw out the first pitch at every big-league ball park. Hailey's mom says one man who reached out to her was 51 years old, and had the same syndrome as Hailey, but had no idea what it was till he saw a story about it.